Trans people are routinely discriminated against in housing. 1 in every 100 New Zealanders lives in severe housing deprivation. For trans people, the figure is 22 to 40 per 100. 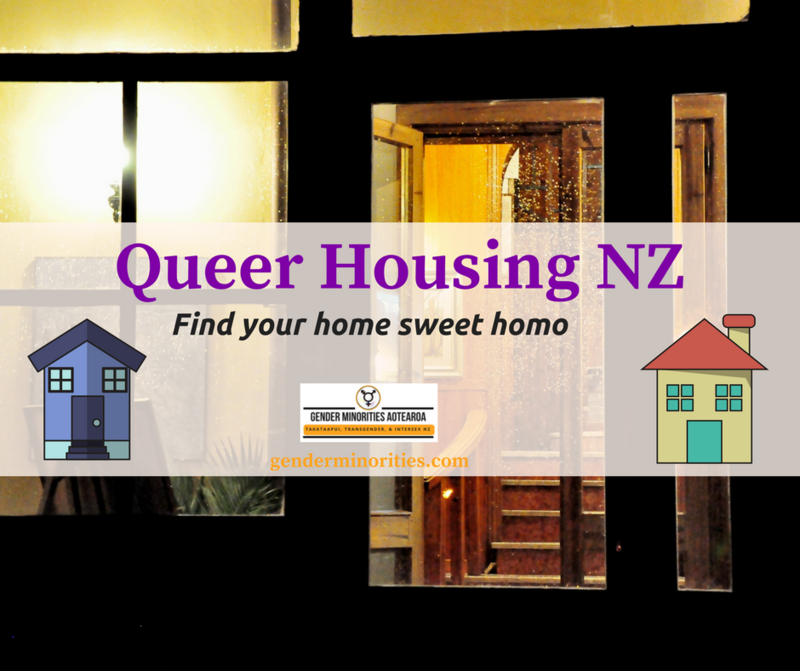 We run the national peer to peer trans and rainbow housing network, Queer Housing NZ, which assists trans people who may otherwise be homeless into safe and appropriate housing. Help to end trans homelessness – offer your rental property, spare room in your flat, or other accommodation through transgender housing networks like ours. Contact us for non-discrimination policy development at your real estate agency, offer special discounts through us on your mobile homes, write to your local MP and tell them to make transgender housing a priority.Even just accepting, talking with, and supporting the young trans people in your whaanau or extended family can make all the difference. You can click here to join the Queer Housing Network, or click here to donate today and help end trans homelessness.